Hong Kong is a global finance centre, and as such employs a good number of financial journalists. David Webb is not one of them. He is an activist, not a reporter. But he seems to break a lot of stories. Cathy Holcombe reports. When Webb first burst into the watchdog scene, in the late 1990s, I was working on the business desk at the South China Morning Post, and on some days he was quoted in almost every other story. I have to confess to arguing against this profligacy of Webb quotes – it’s embarrassing, I said, as if we have no investigative skills of our own. Yes, well: In a town where business journalists are often stuck on a merry-go-round of press conferences and corporate announcements, they scarcely have time to produce anything other than spot-news reactions. In contrast, Webb’s close readings of financial statements have uncovered everything from dubious credentials of the management, to unsavoury related-party asset trades, to outright falsehoods in the filings. Webb-site.com keeps track of “bubbles” – companies, usually small caps, that trade well above their underlying value. Some investigations can take months, if not years. In the early 2000s, Webb noted that a number of “small, naïve companies” were issuing convertible bonds with a “nasty twist” – a floating convertible-price feature. Webb discerned that this feature gave the issuing bank, Credit Suisse First Boston, room to make a killing at the company’s expense, but he waited to see how events played out in the market. Meanwhile, Merrill Lynch got in on the game, issuing similar “toxic convertibles”. Eventually Webb published an exposé, based on a study of 15 companies who had issued the products to raise funds. The bankers made a stunning average profit of 31% on each convertible bond issuance, and the shares of the issuing companies that had subsequently crashed by 30% on average. These are stories that otherwise simply might not have been picked up by this town’s phalanx of financial journalists. Which raises the question, why? Financial journalism has long had a tendency towards corporate boosterism, in this town and globally. Part of it is the nature of the readers: perhaps subscribers to magazines such as Forbes enjoy stories that reinforce their pro-business sentiments. Then there is the existential conflict of interest, i.e., the dependency on corporate advertisers, or sales of financial data to corporate clients. 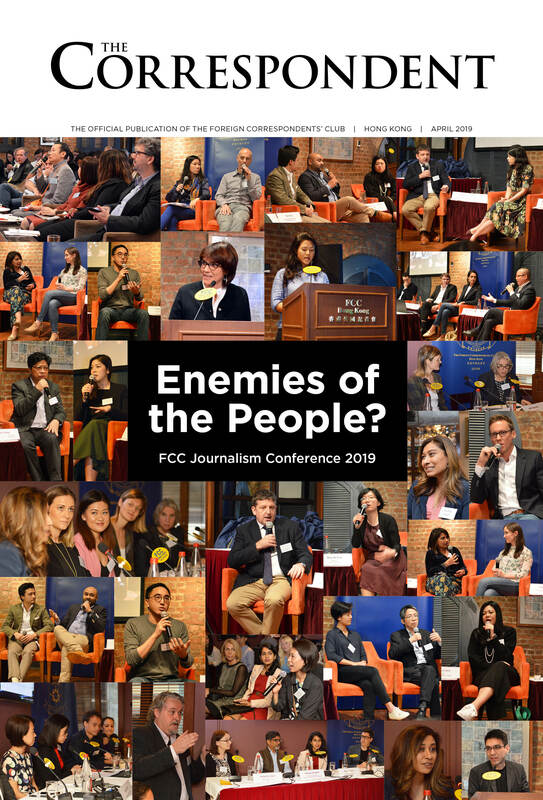 In Hong Kong there is the additional issue that many media outlets are now, or traditionally, have been owned by establishment business figures. As the digital era disrupts media, another threat to the Fourth Estate is economics: declining profits means less available money to underwrite quality, investigative journalism. But what if this digital disruption also makes financial journalists themselves more cautious? The business writer Michael Lewis, in a recent interview with the British magazine The Spectator, identified the swinging door between the media and the financial sector as a threat to critical financial journalism, just as the swinging door between business and government is a threat to vigilant regulation. “Journalists are often financially insecure, just as politicians and regulators are often financially insecure – and I’m talking about personally financially insecure,” Lewis said. In his view, this insecurity might explain why major financial media failed to properly investigate the myriad subprime-related shenanigans that led to the 2008 global financial crisis. In Hong Kong, the door has been swinging for decades, dating back to the 1980s when the investment banking industry began to expand rapidly, and regularly recruited journalists into their ranks. “The challenge for investment banks was capacity – there simply were not enough qualified and experienced brokers, analysts or corporate finance professionals to meet demand,” says John Mulcahy, a prominent Hong Kong business journalist in the 1980s who later held top research and executive positions at several stockbrokers. Today the banking industry is more mature – stock market turnover is 70,000% greater than it was in the early 1980s – but many journalists regularly cross over into the banking sector for jobs. Meanwhile, the role of corporate muckraking is almost single-handedly performed by an ex-banker who moved in the opposite direction. Some years ago I interviewed activist David Webb at his residence on Hong Kong Island. It was certainly a nice home, with high ceilings and ample sunlight pouring in through tall windows. But it was not a mansion, and one imagines Webb could live in a mansion. He had arrived in Hong Kong to work in investment banking in the early 1990s, a time when even knuckle-draggers could make silly money in the business. Smart foreigners, on the other hand, could ascend to heights of insane riches. Instead, Webb stepped off the corporate ladder about 20 years ago. He puts in a few hours a day as a private investor, and donates the rest of his productivity to his role as a watchdog on corporate and economic governance. His output is prolific and ranges from careful examinations of the financials of penny stock companies, to purist – some would say priggish – interpretations of the Basic Law on the Hong Kong government’s taxation policies. “Banking paid me well, but I’ve had far more fun as a private investor and activist,” Webb says, adding that he has been very successful investing in relatively well-governed undervalued small-caps for the last 21 years. One inspiration is George Soros, who in his younger days combined “investing and advocacy in a spectacular way”, for example, helping to bring down the Iron Curtain by funding photocopiers to help distribute information in his native Hungary in the 1980s. If Webb makes enough money in investing, he hopes to establish Webb-site as an independent foundation that can survive him and to expand its role in defending and advancing civil liberties and free markets in Hong Kong and China. Recently, Webb’s activism has been aimed at defending Hong Kong’s traditions of freedom of speech and information. In January he spoke at the Foreign Correspondents’ Club about his failed efforts to appeal against a ruling on privacy issues which requires Webb-site.com to remove from its extensive archives past court cases, such as reports of bankruptcies, litigation or convictions. Webb argued that it was in the public interest to make this information available, but the Administrative Appeals Board ruled against him. Hong Kong’s ruling on privacy issues is in line with the European court’s ruling on Google searches. In other words, it is perhaps another example of a China-related clampdown on transparency and free speech. But this “right to forget” issue is hitting Hong Kong at time when civil traditions are already under threat from Beijing. “The recent case of the book publishers disappearing from Hong Kong and Thailand without officially ‘leaving’ is very worrying, and the fact that Hong Kong’s government took weeks to obtain the most basic information from mainland counterparts makes it look powerless and highly subordinated to mainland authority,” says Webb. Graduates may face difficult personal choices. “If they work for critical media, then travel to the mainland may be difficult, fearing arrest on charges that their critical stories violated national security laws. They may also have concern for any family members in the mainland, and after the recent publisher disappearances, they may even be looking over their own shoulder while in Hong Kong,” says Webb. Indeed, the journalism profession is increasingly turning to non-profit or subsidised models. And the Fourth Estate may find itself more and more dependent on outsiders and activists, like Webb, to break the stories they can’t. After all, Webb left banking because he could afford to; this is the inverse of the journalism equation, where many leave because they cannot afford to stay.